The process of ANALYZING and ADVISING real estate clientele is almost universally done manually leading to it not being done FREQUENTLY or at a HIGH QUALITY. We aggregate and monitor client property data for loan and real estate professionals to provide pinpoint analytics and insights. These help them stay in front of their customer and increase repeat business. We’ve identified a market opportunity in weak or non-existent retention practices, a large niche that lacks any focus at large from the real estate and mortgage industry. Once a client has completed a transaction most industry professionals struggle to be remembered by those clients past 1 year. Current solutions stop at sending emails with market reports or happy birthday messages. When it is time to contact a client, professionals have to pull up the client’s file, research and analyze their scenario to figure out what to talk to them about prior to calling. This is a completely manual and extremely inefficient process. Who wants to manually track 1,000 clients figuring when and why to call them? 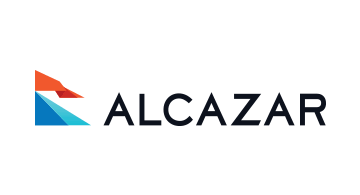 Alcazar automates this process of analysis and advice. Imagine as a Loan Officer getting a message from your book of clients with who to call and more importantly why to call. Our customer is the real estate professional and what we do is help to create unique content for each and every one of their clients by doing automated analysis on their property searching for opportunities and informing them of it through alerts and monthly reports. We charge a monthly subscription to do this and at our price point 1 additional transaction would make them ROI positive. We could also work for large scale operations like banks or non-depository lenders for their servicing arms.